Shelby Ausband joined us on LEAD Cape Town in 2011, and she went on to create pretty amazing things around the world. In Shelby’s own words, she’s a “doer,” and that what makes all of her endeavors a reality in helping people everywhere, every day. 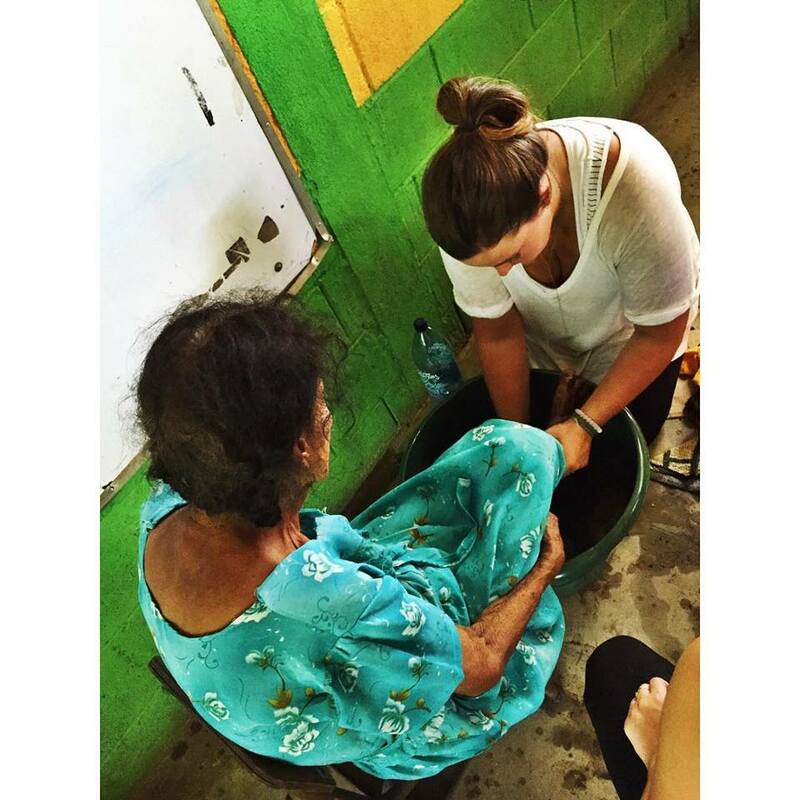 LeadAbroad helped Shelby realize that even though she couldn’t save the world, she could certainly help the world, and even better: she could do so by implementing what she loves and feels passionate about into ways that can make lives better for other people. We are beyond proud of everything Shelby has accomplished and will accomplish in the future. This is what LeadAbroad is all about: helping young people to become the best versions of themselves and do amazing things! Shelby is truly a wonderful example. Read our exclusive interview with Shelby below for details on her self-run non-profit, her amazing advice to current LeadAbroad students, and, well….her love for Justin Bieber. She’s an inspiration! LeadAbroad: Tell us about yourself! Shelby: Grew up in McDonough, Georgia and now living in Atlanta/Guatemala. What makes me tick? My relationship with the Lord. and AHHHH Chaos. It is where I thrive. The opportunity behind the things unknown challenge me to be a mover and a shaker! LeadAbroad: What are you up to these days? Shelby: What am I up to. Wow. That’s a tough one and some days I cannot answer it. Currently, I am busy running the non-profit that I started while living in Guatemala called Pur[SHOE]ing Joy, I am in the midst of starting a leather goods business, designing and making handbags with the local women of Guatemala, I am the interim secretary to the Mayor of McDonough, I am on the Advance Team for the Bush Campaign, and I am the an assistant for Atlanta Best Personal Stylist, Kam Throckmorton. I told you I was chaos… but I can assure you they all add up and not one is random. Some a temporary and some are not. They each fit and tie in exactly what I want to do and be… one day. I have a personal goal to never have a 9-5, so far, so good. LeadAbroad: How did your experience abroad help you to get where you are? Shelby: LeadAbroad laid the foundation of where I am and what I have been up to in addition to simply feeling called to LEAD after my trip to South Africa. Let me be honest and tell you, I went to Africa with the wrong mentality and motives. I went to serve and LEAD yes, but I went because doesn’t everyone have a dream to save Africa at least one time in their life? But seriously, I went because I thought I, Shelby Ausband, could save the world. Friends, it took 6 weeks in South Africa to realize that I could not save the world. I wasn’t MADE to save the world. BUT, I too, came home with an action plan on being a piece of what the world needs…. DOERS. People to say YES to a calling or a passion or a person in need. Saying “YES” my senior year at Ole Miss to go on a mission trip to Guatemala has changed the course of my entire life. If I would not have said “YES,” 15,000 people wouldn’t have a pair of shoes in Guatemala and wouldn’t have been able to receive free colonoscopies and endoscopies. Yes, I provided the medical service and yes, a non-profit I started has given away that many shoes, but it really is not about me at all. I can ASSURE YOU. It is about how that one “YES” has effected those that I have come in contact with. LeadAbroad: What is your favorite memory from the program? Shelby: Favorite memory…now THAT is almost impossible to answer. Sir Lowry’s Pass. Myna, my house mom. The endless challenges. Old Biscuit Mill. The connections and friends. Ish. Dance Parties. I could go on for days. LeadAbroad: What advice do you have for our current students? Shelby: Best advice: Whatever you are passion about, whatever you feel called to, fan the flame. SAY “YES” and just watch, it will spread like wildfire. That wildfire doesn’t have to be a non-profit or contain large numbers. I can guarantee you that your “YES” will greatly impact at least one person, or a small office space, or a small group. Next, LISTEN. This is a hard one for me but when trying to find out a person’s needs, they know what they need better than we do. If we miss our opportunity to listen to their needs, we miss the thing they need, giving them something that they don’t need. LeadAbroad: What is your favorite quote? LeadAbroad: What is your number one song on your life playlist? Shelby: #1 song on my playlist. SO MANY HARD QUESTIONS. I mean if I was given a dollar for every time I listen to Justin Bieber or NSYNC Christmas Album, I would be a BILLIONAIRE. Really into Good Good Father by Chris Tomlin and some Leon Bridges too. All over the map, kinda like my life. Take Shelby’s advice: say YES to a LeadAbroad trip, and say YES to all of the great things that will come after. “Do for one what you wish you could do for everyone” – Andy Stanley.